Oprah and I have something in common. 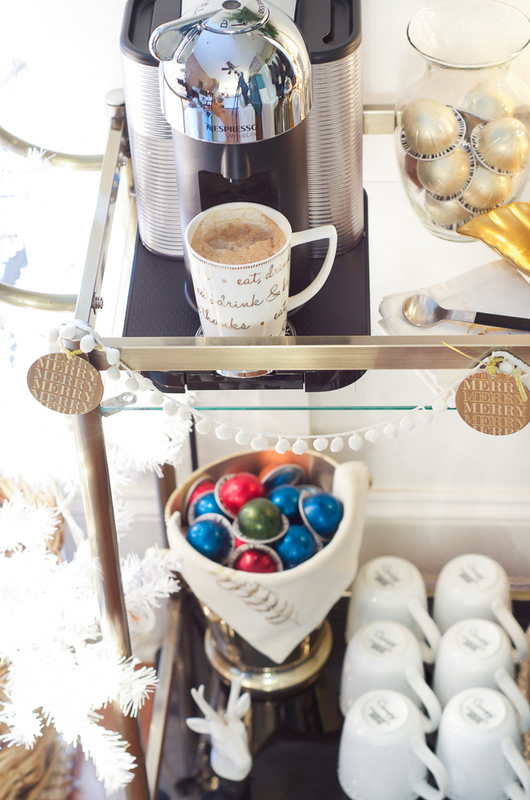 We both chose the Nespresso VertuoLine and Aeroccino+ Milk Frother as one of our 2014 favorite things! 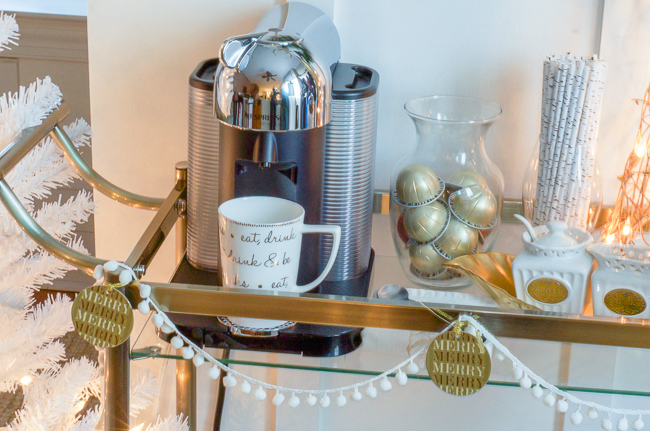 I was so inspired by my new machine that I created an entire holiday coffee bar cart with Nespresso and am sharing some drink recipes with you today. 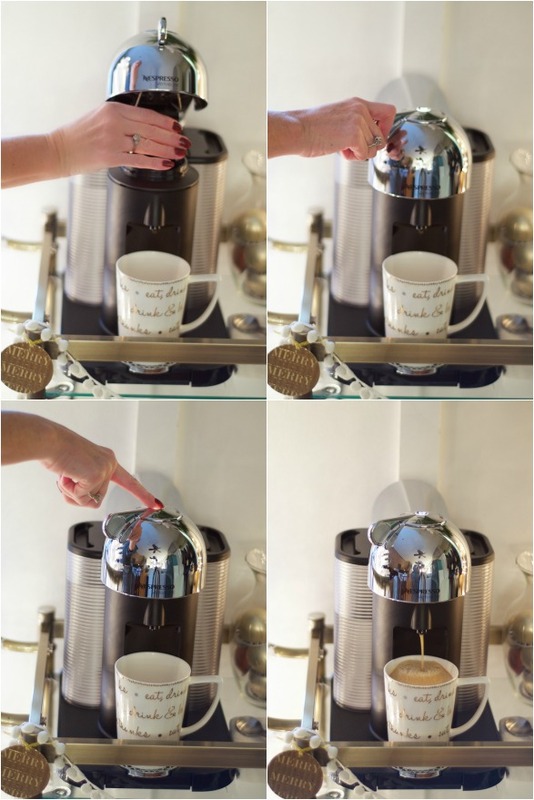 I have tried a lot of coffee machines over the years (pssst…I currently have 5 different machines in my kitchen) and I can safely say that this one is my favorite. It’s like the fancy-pants of coffee machines and is going to make my holiday entertaining a breeze. Have you heard of Nespresso before? Nespresso VertuoLine is a new line from Nespresso that prepares the perfect cup of coffee and espresso with crema (that frothy goodness) at the touch of a button. The coffee and espresso comes in capsules that are color-coded to distinguish between the different flavors, and you can only use the Nespresso VertuoLine capsules with this machine. Some things I loved about it right out of the box were it’s cute retro appearance, lightweight design, and chrome top. The coffee capsules for the Nespresso VertuoLine are beautiful and look like chocolates. In fact, when I was unwrapping the coffee pods both of my boys came running over asking if they could have one. When I explained they were coffee capsules, they still weren’t deterred and insisted they’d like to try some coffee! Uh…sorry boys. But don’t worry, they didn’t completely miss out. 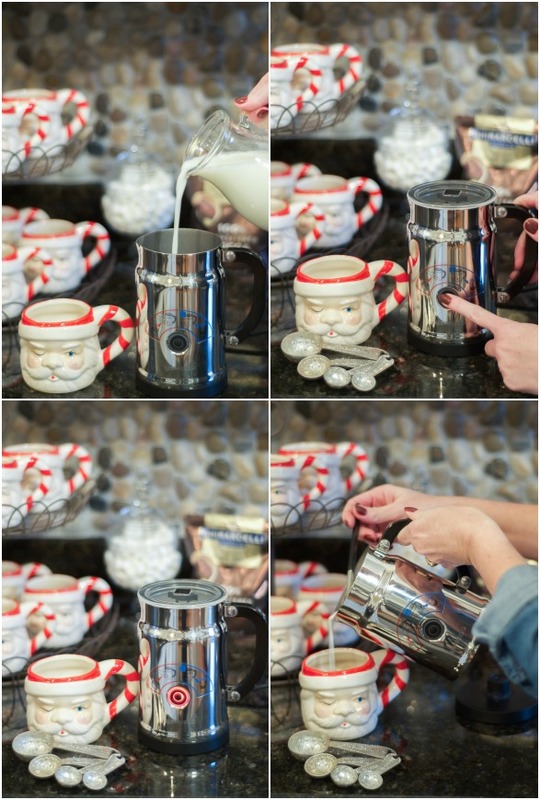 The Aeroccino+ Milk Frother makes a mean cup of hot chocolate as you’ll see in a moment! Using the Nespresso is completely intuitive. You simply pop in the capsule, close the machine and turn the lever to lock, and then push the button on the top to start brewing. 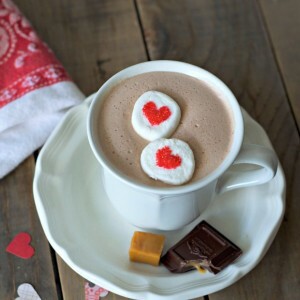 I love that each cup creates a frothy layer of yumminess on the top! My husband only drinks black coffee and was incredibly impressed with his cup of Stormio this morning. Stormio is his new jam. I’m a fan of Vanizio which tastes like a vanilla wafer when milk is added. Decadent! 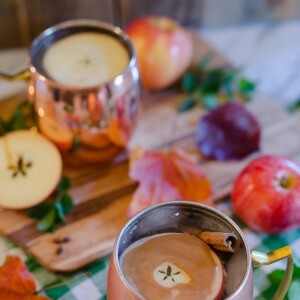 I told you…fancy pants coffee. I styled my bar cart to accommodate coffee cocktails for the holidays. 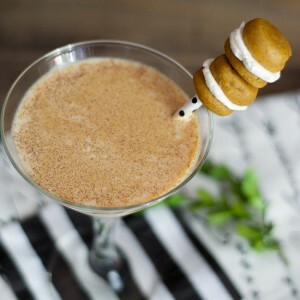 One of my favorite espresso cocktails is a Creme Caramel Baileys Latte. It is easy to make and tastes like a hug for your mouth. Brew your Altissio espresso coffee. Add a shot of Baileys and a shot of Caramel Vodka. Fill the rest of the mug with steamed milk. 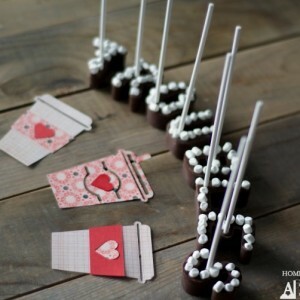 Decorate the top with chocolate shavings. Enjoy! 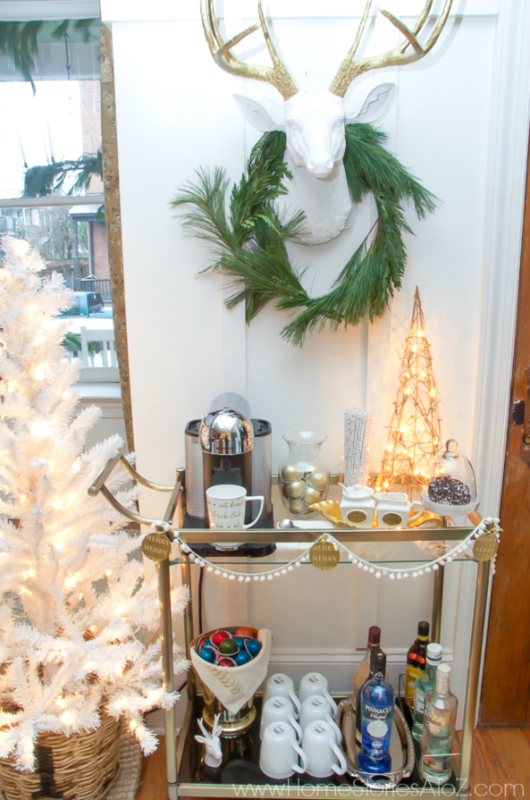 I currently have my coffee bar cart next to my dining room which is also near our front door. It makes me smile to come home to such a welcoming sight. 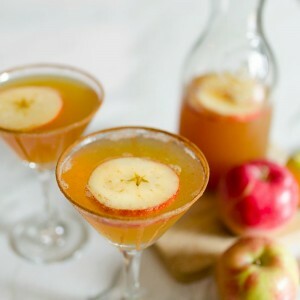 It’s so easy to whip up a yummy cocktail in the evening and cozy up on the couch with the family. With all the early snow we have been having the Aeroccino+ Milk Frother has come in really handy! You simply pour in the milk to the indicated line, push the button once for a hot froth and longer for a cold froth, and the machine does the rest! 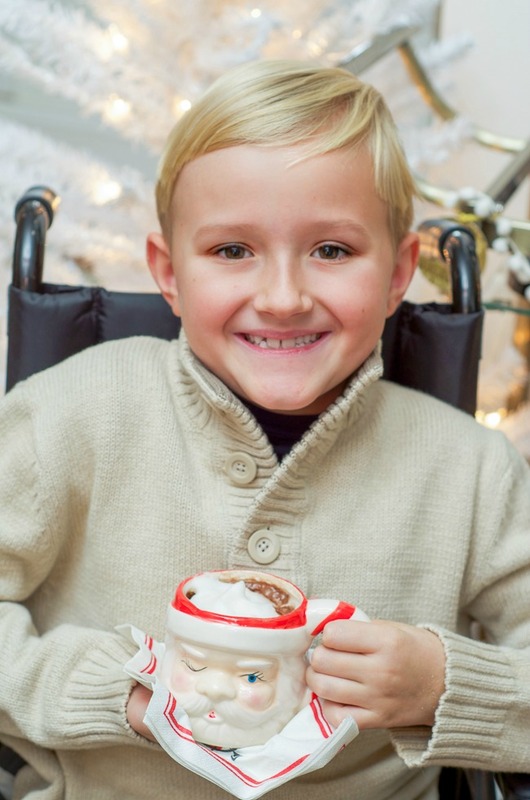 This is my perfect hot chocolate recipe that my boys love–just ask my little Tiny Tim! Instructions: Mix the dry cocoa, sugar, and dash of salt together in the mug. Froth your milk in the Nespresso Aeroccino+ Milk Frother. Pour a few tablespoons of steamed milk into your mug and stir into the dry ingredients to form a paste. This helps all the dry ingredients blend and dissolve. Add a teaspoon of vanilla. 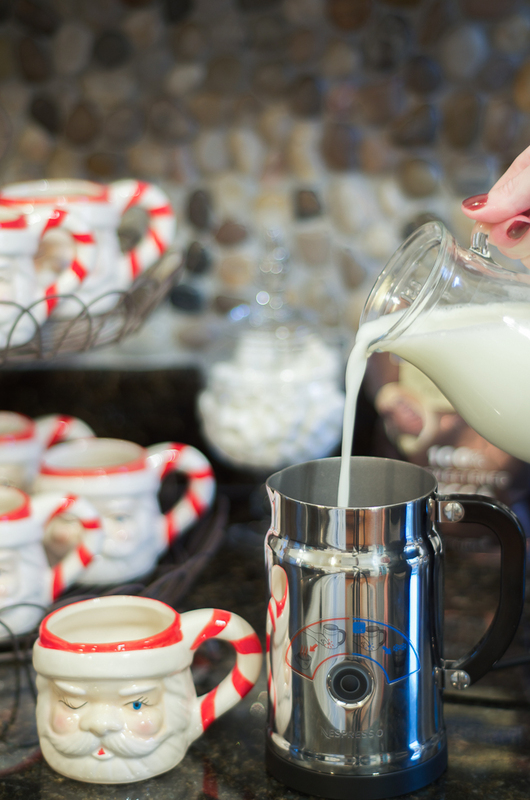 Pour the rest of your milk into your mug and stir well. Top with froth and enjoy. Doesn’t that smile say it all? If you want more coffee and espresso recipes, click here to see more on the Nespresso site. EXCITING NEWS!! Nespresso is having their annual Year End Promotion staring on Black Friday! They are offering $100 credit with purchase of $199+ machine from 11/28/14 – 1/31/15. This is an amazing deal and a great chance to experience the Nespresso Line for yourself at a reduced price. Want to taste test some Nespresso for yourself? Click here to find your local Nespresso Boutique which offers free coffee demonstrations and samples of the different Nespresso flavors. Thank you Nespresso for sponsoring this post and allowing our family to try the Nespresso VertuoLine and Aeroccino+ Milk Frother. We are big fans! All photos, opinions, and words are always my own. 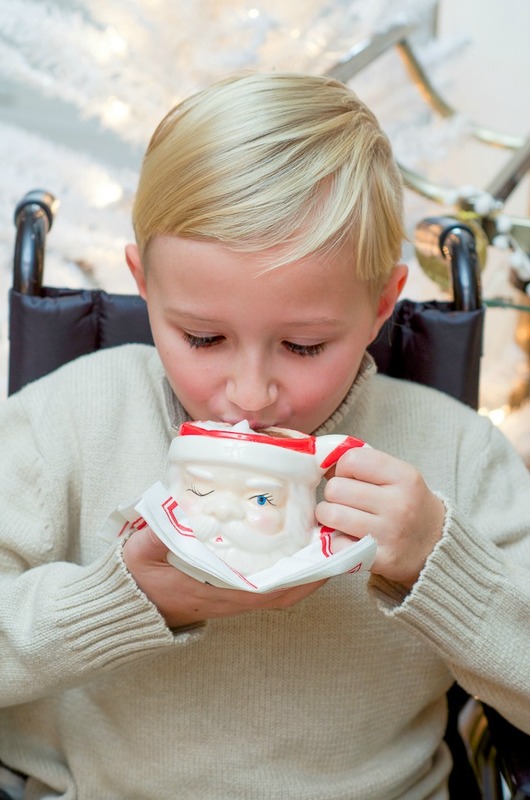 I was wondering where you purchased the mugs with the gold writing? I found those at Marshalls and HomeGoods. I just went to Nespresso’s website and I was wondering which model you have? There of course are several to choose from on the website. There are a lot of machines! I wasn’t really familiar with Nespresso before this machine, but I have the new model called the Vertuoline. I have the chrome one, but I think it comes in black and red as well. Great…Thanks again. Enjoy your evening. 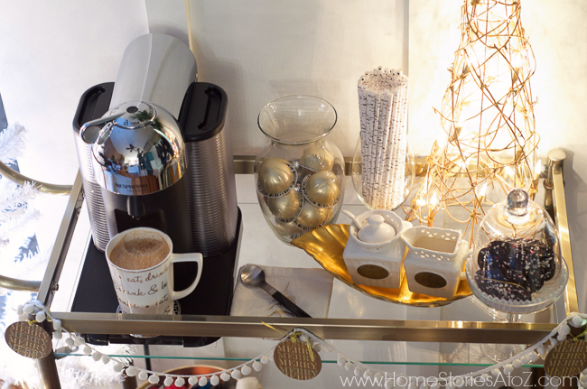 Love your coffee Bar Cart…what a terrific idea…I am a huge coffee drinker and we had a custom cabinet made just for our coffee machine in our newly remodeled kitchen. 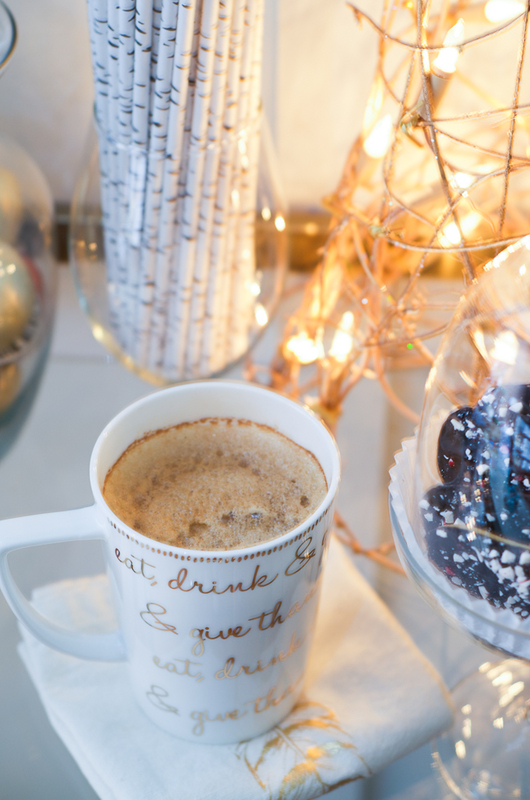 The Nespresso VertuoLine and Aeroccino+ Milk Frother sounds wonderful…Sounds like this may go on my Christmas List. A custom cabinet is SUCH a smart idea! I really don’t like a lot of appliances cluttering my countertops but am very committed to making my own coffee. 🙂 Happy Thanksgiving to you, and I hope Santa brings a Nespresso for Christmas! It really is a treat of a machine.